/Zap Attachment Viewer /Getting Started – How to use Zap Attachment Viewer App? 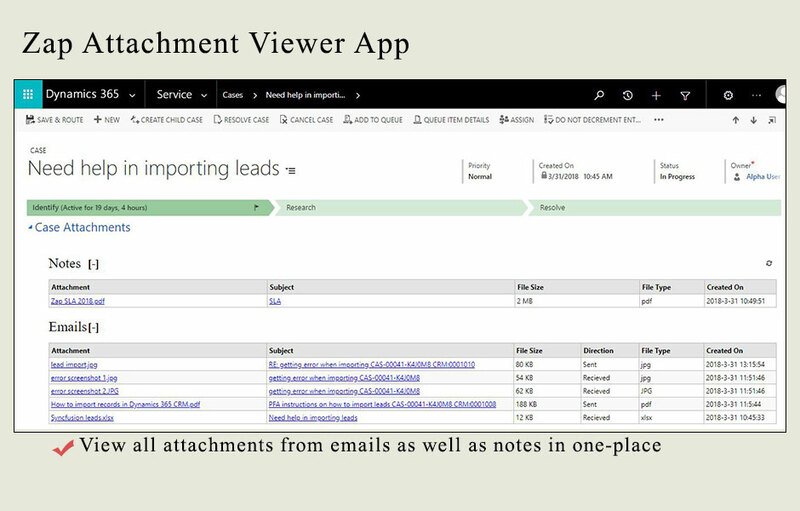 You are now ready to use Attachment viewer App! The attachments are sorted by created-on date. Further, you can sort the attachments by clicking on column header (by attachment name, file type, etc). To open the source email or notes record, click on the subject name.